Need a few recipe ideas to fill out your family’s menu plan? 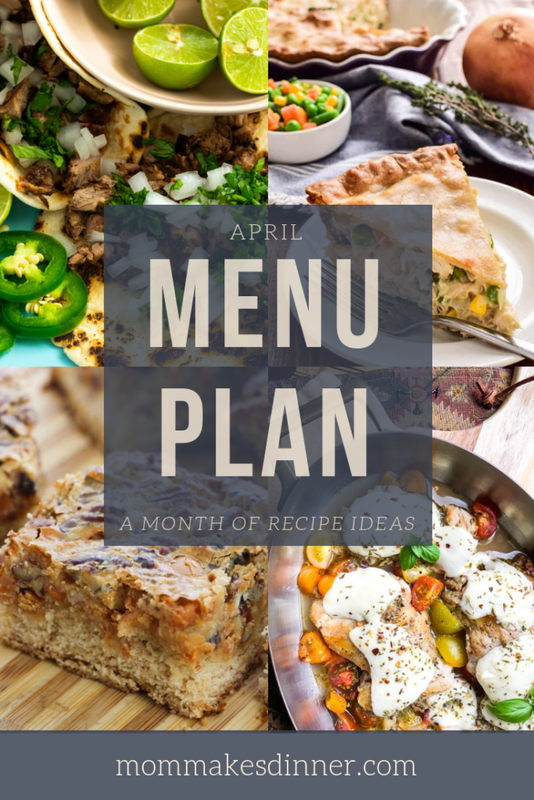 I’m sharing some quick and easy dinner ideas in our April menu plan to help! Oh and some great sides and desserts too! Hey there! Welcome to our April menu plan. This menu is fulllllll of ideas to help you fill out your menu plan. Whether you do a weekly or monthly plan, you are sure to find some new recipes here.